Hi. My name is Samantha and I am a personal trainer in Key Biscayne, Coconut Grove, FL. Fitness has always been a passion of mine. Since a very young age, I’ve been very active in sports and general fitness. It’s no surprise I decided to move my passion to my career, and have now been personal training for over 8 years. 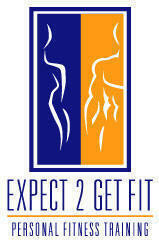 I love my job and it is extremely gratifying to see others reach their fitness goals with my assistance. I believe in all modalities of fitness and thus use a hybrid training method. I am a goal-oriented person and I’d love to help you achieve your personal goals! I'm not saying it will be easy. However, if you want to reach your goals badly enough, we will work together to make it happen. I am here to guide you, motivate you, and educate you on how to accomplish your fitness dreams!